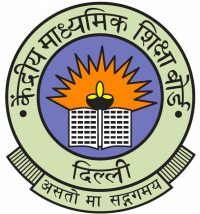 CBSE Class XII Results 2019 – Senior School Certificate Exam Results cbseresults.nic.in : The CBSE (central board of secondary education) is carrying out the process of declaring the CBSE 12th Result 2019 in a while. Candidates all who have appeared in the examination can expect the result of the CBSE 12th examination shortly. More than lakh students have appeared in the CBSE board 12th class examination in the current year comparable to previous year. There has been in a constant rise in the count of students every year. Previous year, the CBSE board has seen a better performance from female candidates than boys. The highest pass percentage was recorded by students of Thiruvananthapural district. CBSE Board Class 12th Results 2019: It is expected that CBSE board will declare the result very soon. The board is currently undertaking the process of releasing the results and hence, it is estimated that it will be published shortly. It is also found from the reliable sources that the students can expect the results in the second week of May. They can check their results either roll number wise or name wise from the official website of the CBSE board. Over 10,67,900 students have taken part in the CBSE board class 12th examination from all regions in India. Students had out in lots of efforts to achieve maximum results in the examination in order to make the career of their own desire in their further studies. To know their scores and also their performance, they are waiting for the cbse class 12 results 2016 eagerly. CBSE board is also taking efforts to offer students with the facility of checking results through email and SMS. Students can go through the below steps that should be followed to check the results once they are published. Normally, education boards from all the states conduct 12th class examination during the month between March and April. In the class 12 examination, most numbers of students take part from every state. In order to obtain goof score, they study hard, prepare notes with proper plan and strive to achieve the top position. Students study with so much zeal and want to put their complete effort to score their best in the examination. They start looking forward for the results right from the next day of their last examinations. From then they keep searching for the result date and updates if any made regarding the publishing of results. Online portals are the suitable platform to check the board results easily and conveniently. It offers updates, information and exact details about the results regularly. Students are requested to visit the official website of CBSE board for more updates. They are also suggested to prefer the instruction given above to access the cbse Class 12 Results without any trouble. On reaching the page, they will find fields for entering roll number and other credentials like name or date of birth, for example. Upon submitting the information, they will be certainly directed to a page where they can find their results along with scores. To download or get the copy of the result, options to save and print will be available that have to be used. It must be noted that the results being obtained from the website is just for information purpose and it is not an original marksheet of a student. The board will be sending the original marksheet to the corresponding schools and in case of private candidate, it will be sent at the address.